Read Myles’ first post about linguistic terminology here. Working in the field of linguistics over the last few years, I have noticed some divisions in terminology that I would like to highlight in this blog. 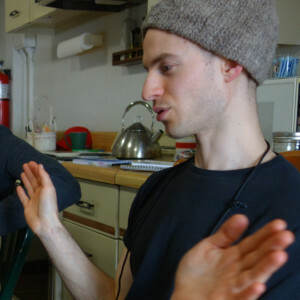 As North American linguistics begins to turns away from its roots in “salvage linguistics” and more towards collaborative community-based research, the terminology starts to change as well. 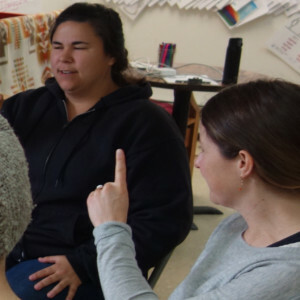 If, as researchers, we want to promote healthy research that is beneficial to indigenous communities and in true collaboration with such communities, we need to make sure our terminology in linguistics does not remain stuck in the past. I have heard many linguists explain that they are working “on” a particular language. (e.g. 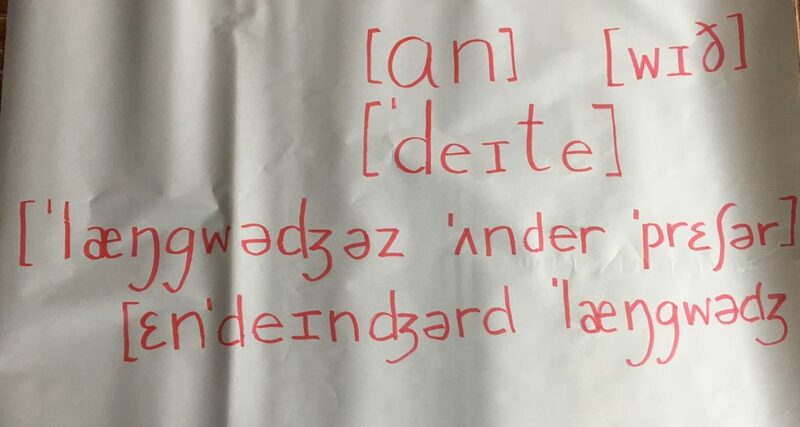 “He has been working on Alutiiq for many years.”) The problem in my mind with this terminology is that working “on” something implies that there is some sort of deficit with the language that a linguist is working “on”, or fixing. Furthermore, the directionality of “on” presumes a hierarchical relationship between linguist and language. I would promote saying that one is working “with” a language or language community. It demonstrates that you are not working from a place of hierarchy in which your work is being placed “on” a group of people. 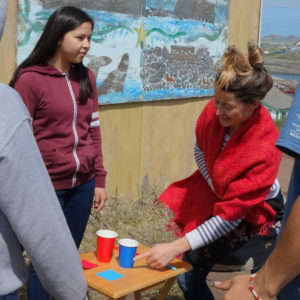 Rather we should think to place work within the goals of an indigenous community; working collaboratively means working “with” people, not “on” them. Linguists often refer to the language that they are looking at as “data”. This description is problematic because it views language as something that can be quantified and split up into pieces. We tend to view data as something that can be analyzed in a vacuum, which disconnects language from its use in the real world. I think especially when linguists refer to language as “their data”, they disconnect language from who the language actually belongs to. As a budding linguist, I try to avoid talking about people’s language as data, unless talking about actual numerical data. At the University of Victoria, I was introduced to the term “languages under pressure” as an alternative to “endangered languages”. 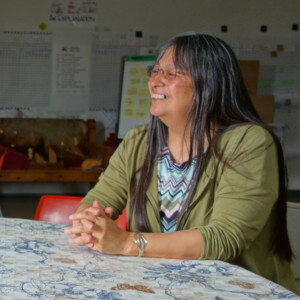 The rationale for the terminology shift is that the term “endangered language” does not give enough credit to those who are working hard to revitalize their languages and the already successful work that has been undertaken. It also does not recognize the reasons behind language loss. Languages are endangered, but why does that occur? It occurs because of linguistic and political pressures of dominant languages and political entities. The label “languages under pressure” demonstrates that there are pressures that bring about language loss and, yet, there are people who are continually working against those pressures. Such terminology is obviously not universal, and it might be a while before such terms catch on. But I think if linguistics as a field wants to promote itself as interested in research that does not do damage to the communities that it works with, we need to make sure that our terminology is similarly non-damaging and supportive.